The Front Leg Wrap is individually made based on the measurements you provide; this product usually ships 3 - 5 business days after the order is placed. The DogLeggs' Front Leg Wrap provides coverage and protection for wounds located between the top of the paw and mid-forelimb. It is safe to use for animals with a compromised immune system or fragile skin. 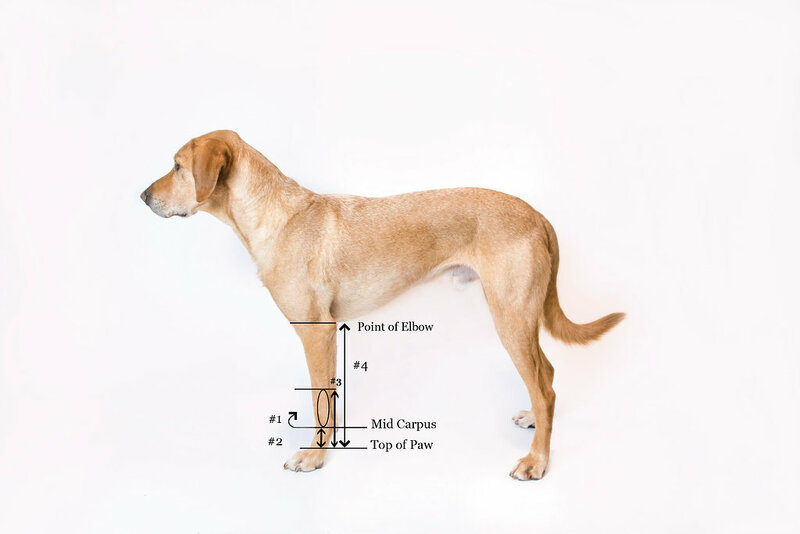 This product is a coverage solution only; it does not provide support to the forelimb. Please see the Carpal Support for a supportive solution for the carpal joint. 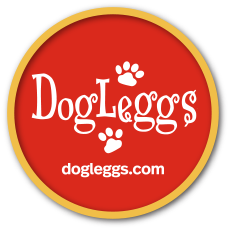 The DogLeggs' Front Leg Wrap is constructed from a 3-dimensional fleece-faced, highly breathable, 4-way stretch textile with wicking properties. It allows air to circulate to the wound, does not pull at the fur and is gentle on the skin. It also incorporates a natural fiber that is inherently anti-bacterial and anti-fungal. Closes with VELCRO® Brand fasteners. The product is machine washable.